Exceptional property management in Santa Rosa starts with Alliance Property Management. 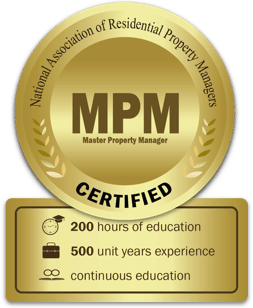 With combined experience of over 75 years, our team of property managers has a reputation for excellence. We have established ourselves as the local experts in rental properties. Our experience helps us to price properties correctly, prepare them for the rental market, and rent them out to high performing tenants. 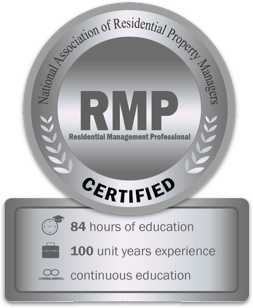 What Can I Expect from My Santa Rosa Property Management? Good advertising starts with knowing the market. We’ll do a comprehensive evaluation of your Santa Rosa property so we can price it correctly and market it properly. If we think it needs some cosmetic upgrades to make it more appealing to tenants, we’ll discuss it with you. Your listing will show up on all the major rental websites, such as Craigslist, Zillow, Trulia, and other subscription services. We’ll include it on our website and use attention-grabbing yard signs. Our marketing efforts are designed to reduce your vacancy time and get your Santa Rosa property rented to a stable, responsible tenant. Good tenants pay rent on time, take care of your property, and follow the terms of your rental agreement. If you’re worried about property damage, unpaid rent, and evictions – proper screening is a great way to protect yourself. We have access to extensive background information that includes credit and reference checks. We look for prior evictions and judgments, and we verify income and employment. You’ll get a tenant who has been well-screened and is likely to perform well. Once a qualified tenant is approved, we take care of moving that tenant in to your Santa Rosa home. We’ll conduct an inspection, sign the rental agreement, and collect a security deposit. Once a tenant in place, it’s our job to manage that tenant and to ensure your Santa Rosa property is being cared for. We’ll collect rent and respond to tenant concerns. We’ll respond to emergencies and schedule routine maintenance. We’ll keep you compliant with all local, state, and federal laws, and stay up to date on the ever-changing regulations that pertain to landlords and tenants. When it comes to preserving the value of your asset, Alliance Property Management is there to make sure it continues to grow in value. With our excellent relationships with vendors and contractors, we’ll focus on preventative maintenance and make sure you aren’t surprised by sudden repairs and expensive replacements. Educating tenants is a big part of how we protect your property. We’ll go over all the systems and procedures they need to know, and we’ll work together to keep your home in excellent condition. Your Santa Rosa property is in good hands with Alliance team behind you. How Much Rent to Charge for My Santa Rosa Home? Knowing how much your Santa Rosa property can rent for is a big part of being a landlord. What you ask for your home will depend on a lot of things like market conditions, the location of the property, and its age and condition. We do everything we can to maximize its value. If you’re wondering how much you can earn in rent, contact us today. We know the Santa Rosa rental market, and we can provide you with a complimentary estimate and rental analysis. How Much Does Santa Rosa Property Management Cost? Why Trust Alliance as My Santa Rosa Property Management? Alliance Property Management provides tenant placement and property management services throughout central Sonoma County. Our property management team has over 75 years of combined experience in the industry and we take pride in our work.